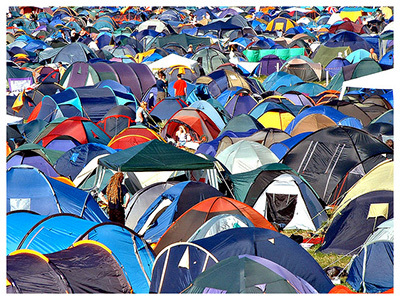 5 ways your digital marketing mix is like camping...no really! Click subscribe now to consent to instant blog updates. Really? I hear you! Surely, the link between camping and the digital marketing mix must be pretty tenuous. My family does a fair few camping holidays each year; we’ve chalked up 3 this year so far (in the UK and France) with a fourth planned at the end of September, before the weather gets too chilly. And rather sadly, some may say, I found myself thinking about the ways in which planning and undertaking a camping trip bore a striking resemblance to the approach that businesses should take to their marketing in this noisy, digital world. No, really! And the same goes for marketing, of course. Marketing for today’s savvy consumer needs to be founded on careful groundwork. This is about knowing your terrain – without clarity of purpose, about who you are and what your specific offer is you won’t know who it is that can really benefit from/need what you offer (i.e. your buyer persona). This persona (personae) should be the foundation of your marketing activity, and doing the groundwork on that audience is essential: Who are they? What is their job role? What are their priorities and interests (camping, perhaps)? What are their principle pain points and challenges? And how will you demonstrate that your business can help remove any impediments and clear the way to them overcoming that pain. Without the proper kit, your camping trip will be wearisome at best, and to be successful you'll need a tent that keeps you dry, effective lighting, cooking facilities and suitable provision for a good night’s sleep. Ditto for any modern marketing activity, your marketing kit has to be fit-for-purpose. marketing technology (like Hubspot) that helps you get found and nurture and convert leads into customers. Anyone who’s ever put up a tent knows you need to know what you’re doing: how to assemble the poles and feed them into the fly sheet, how to peg down correctly, erect the inners, lay the groundsheet, and peg out the guys. Without the know-how you are likely to end up with a tent that won’t stay up, won’t stay dry or even end up airborne. But novice campers rest assured, as camping regulars are helpful people, willing to share wisdom, muscle and head-scratching in an attempt to resolve even the most perplexing of tent-based conundrums. In this era of 'give before you get' there's a host of companies specialising in modern marketing practices creating high quality content to help you navigate the complex new media landscape and erect campaigns that will stand up to the raging storms of consumer indifference. Not all campers are created equal, and each has his or her own preference for the look, feel and luxuriousness of their pitch. For some it’s all about the rustic experience, think campfires, gas lanterns and sleeping on the floor. Whilst others prefer “glamping”, demarcating their coiffed pitch with citronella candles and wind-breakers bedecked with fairy lights, and perhaps home-made bunting! It’s about individualising the experience to reflect the personal preferences of your troup. And today’s buyers are the same; they will have specific preferences regarding how they wish to consume your content, how they wish to utilise that content as part of their decision-making and how/when they wish to be contacted by you. In this user-centred age, your marketing needs to be cognisant of context, and to tailor and individualise your prospects' experience, according to their behaviour and their proclivities. 5) Time to reflect - "campfire moments"
It’s a wonderful moment on any camping holiday, that time around dusk when the lamps are lit, and the campers are clustered in groups around their fires for an analysis of the day’s events and planning of the next. And the same moments of reflection should be taken by marketers. The time to consider all aspects of your digital marketing mix; to monitor campaigns, examine levels of engagement from your persona, to consider what has worked what hasn’t? For campers, this is about comparing equipment: “brand a” airbeds vs “brand b”, battery-operated pump vs electric pump? For marketers, on the other hand, this analysis will consider whether you are making best use of the tools at your disposal: does "email a" or "email b" get the most click-throughs from prospects; is it landing page x or y that resonates more with your persona; or have new contacts been reaching you more via social messages or via search? It goes without saying that this time of scrutiny and contemplation is completely crucial – whichever your domain – to ensure that you keep improving what you’re doing, learning from previous endeavours and continually refreshing and re-invigorating the experience. Congratulations, you've made it to the end... and with the sounds of summer still echoing in your ears (just about!) you see it now, right? How there really are some parallels between making a successful foray into camping and the ventures you should be making into the brave new world of marketing to today's consumer. Bear these 5 tenets in mind and you'll ensure your marketing mix is right and your customers are happy campers! Kirstine manages a number of key accounts, assisting clients with blogging, copywriting for eBooks, and developing new websites as well as heading up our managed email marketing service. Currently, there are no comments. Be the first to post one!